Welcome to the Career Center @ NEO-RLS! Whether you are beginning your job search, investigating careers and organizations, changing positions or seeking information about internships, NEO-RLS can serve as an excellent resource, providing you with a variety of services. The Career Center @ NEO-RLS empowers students and library professionals to optimize their career potential through exploration, experiential learning, and connections with employers and opportunities. The resume showcases your accomplishments and skills as well as your education. 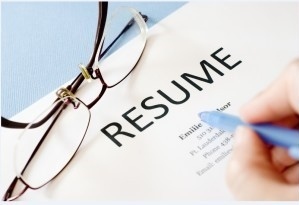 A good resume and cover letter gets you in the door for an interview. Have your resume reviewed and receive tips & tricks from our career expert, Holly Klingler, Research and Innovation Coordinator and Certified Career Development Facilitator. Holly is available to meet with students one-on-one to help address career concerns, explore career options and assist with job and internship search preparation. Contact Holly at 330-655-0531, x 105 or email holly.klingler@neo-rls.org to set up an appointment. The Career Center helps connect SLIS students with employers in the field of library and information science. An internship can be a great way for students to develop professional skills while simultaneously contributing value to your organization. NEO-RLS offers internships that focus on specific projects. To apply for an internship at NEO-RLS email your resume and a list of career goals to holly.klingler@neo-rls.org.or to Executive Director, betsy.lantz@neo-rls.org. Want to strengthen your networking skills? Participate in NEO-RLS's New to Libraries Network Group. The Career Center @ NEO-RLS houses career information handy for students and library professionals to peruse. This includes a collection of reference books that contain information on occupational exploration, resume writing, interviewing, and more.